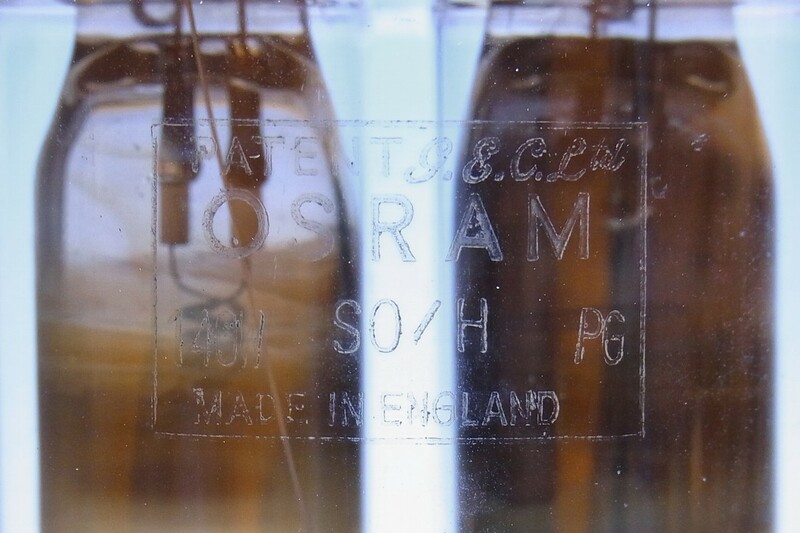 Illustrated here is an experimental sodium lamp made at Osram's Shaw lamp works. 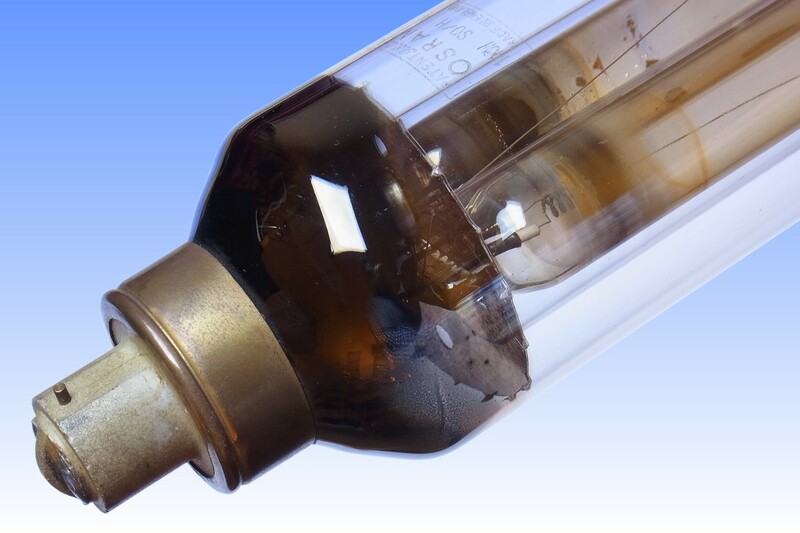 A significant shortcoming of the SOI type lamp was that because the discharge tube was enclosed by high vacuum, the electrodes end of the discharge tube would run hotter than the U-bend end. 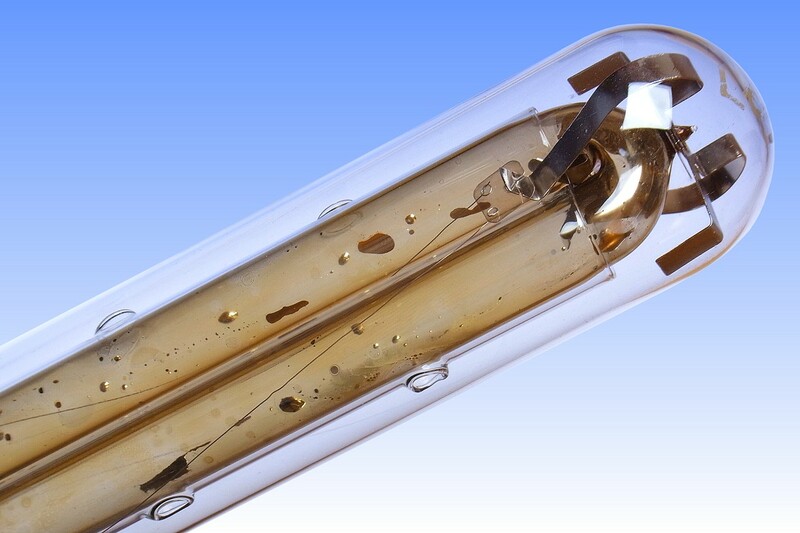 This resulted in sodium being distilled from hot areas to cold over life, thus hotter regions of the discharge tube became depleted of sodium and luminous efficacy fell. Philips attacked this problem by blowing small dimples into the sides of the discharge tube, which naturally ran at a cooler temperature. Sodium would condense in the dimples and remain there during lamp life, ensuring a superior sodium vapour uniformity and better lumen maintenance. However, dimples could not be used with the GEC's design in which a close-fitting glass insulation sleeve was slipped over each limb of the discharge tube. 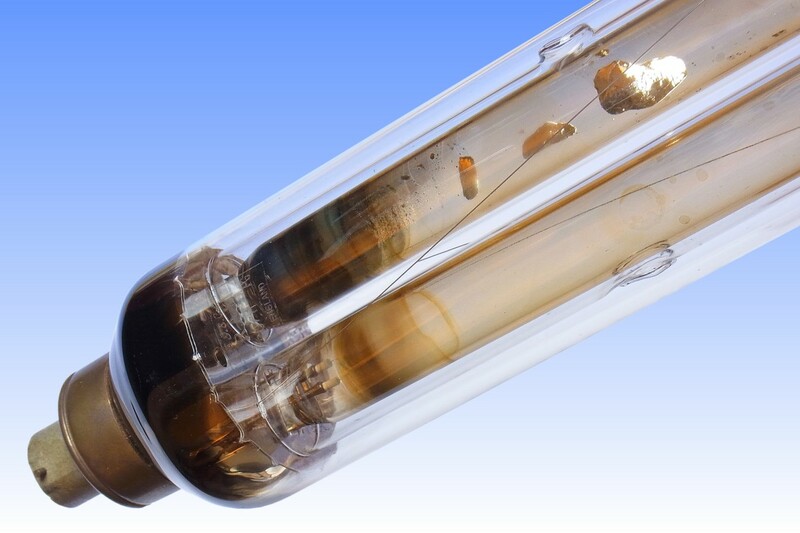 Philips lamps sacrificed efficacy by employing one large sleeve over the whole discharge tube, large enough to accommodate the dimples. To create a similar cooling effect without loss of efficacy, this sample was tested in which the sleeves have holes in the side through which some heat is able to escape. There was a small drop in initial efficacy due to heat loss through the holes, however the idea was that average efficacy through life would improve. 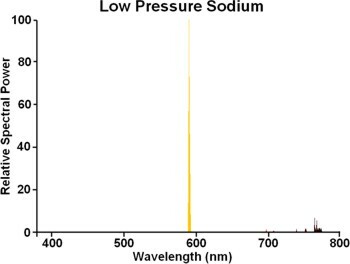 It is, however, evident from the sodium position in this sample that the technique was not successful - presumably the cooling effect was not great enough to encourage sodium condensation. 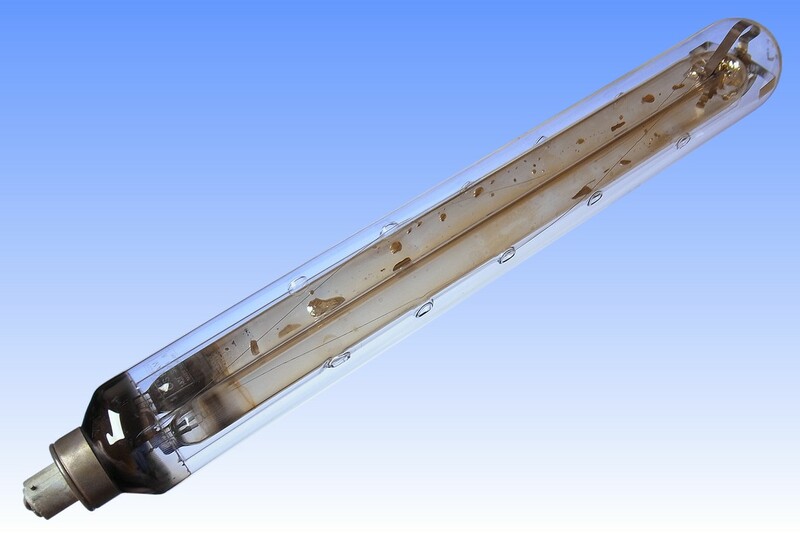 Consequently this test lamp was not marketed, and GEC's SOI lamps were prone to sodium migration until the problem was solved with later SOX lamps having graded insulation along the length.